If you've deleted your Internet history and now need to find your way back to a website, or if you want to see what a child has been up to on his computer, here are a several ways you may be able to access that data. Most web browsers keep records of your search history that you can access, provided that you were logged in with your account while searching the web. The process is essentially the same for either service. Go to Google History or Bing Profile History. Click the "Filter by Date & Product" option in Google, or the Calendar icon in Bing, and select the date to begin your search, or enter a keyword in the Search field. Scroll through the results, which are listed in reverse-chronological order. Click any search entry to resume that search. Click any link below the search to revisit the website you visited. Click the Searched for... link to resume that Google search. Click the link below the search to return to the website you visited. Delete a search entry by clicking the Check Box and then clicking the Delete link at the top of the page. Hover the cursor over any tile to see your options. 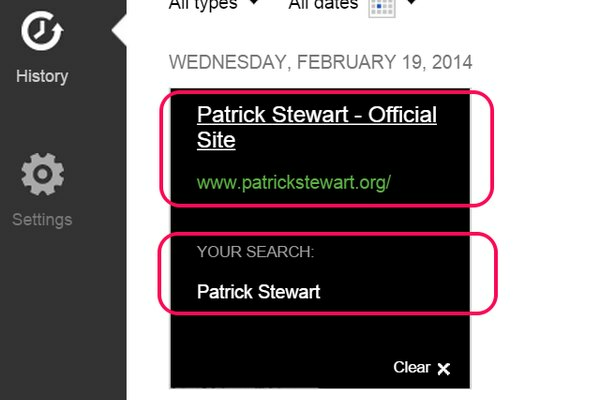 Click the website link to go to the site you found during the search. Click Your Search to resume your Bing search. Clicking Clear removes the search and the website from your history. On Windows 8 and 10 computers, you can restore your computer to an earlier point, including deleted Internet history files, using System Restore. Mac users have the same option using Time Machine. Launch Control Panel, type "recovery " in the Control Panel Search field and click Recovery. Make a note of the date for the last Automatic Restore Point. Back up any files you have created or modified since then, as they'll be lost otherwise. 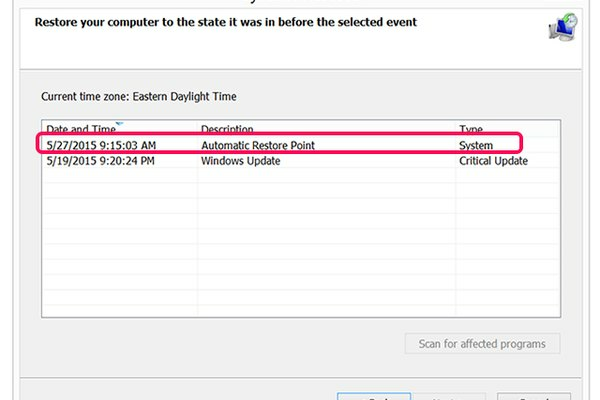 Return to the System Restore window and follow the onscreen instructions to restore you computer's state to that date. Your browser has cookies enabled. Your browser has not deleted the cookies since you last visited. Not all cookies provide useful information. 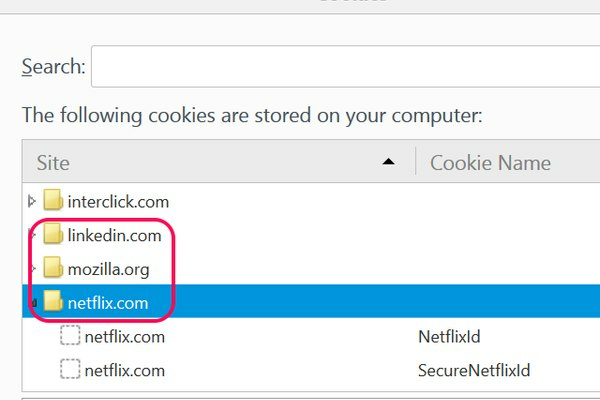 In the example here, LinkedIn.com, Mozilla.org and Netflix.com were all recently visited. However, other cookies are from advertising services, like Interclick, which would have provided ads to one of the websites that was visited. Click the History menu to see your saved browsing history. Click Settings in the Browsing History section and select View Objects or View Files. Click Remove Individual Cookies to see all of your saved cookies. Click the Menu icon and select Settings. Click All Cookies and Site Data to see the saved cookies. Click Preferences from the Safari menu. Click Details to view saved cookies. If none of the other methods for retrieving your browsing history have been successful, you may want to try digging through your computer's data files. Specifically, the IECacheView file on Windows 8 and 8.1, or the index.dat file on Windows 7 may be able to give you some information about browsing history, at least on Internet Explorer. In order to view these data files, you need a program like NirSoft's IECacheView or Pointstone Software's Index.dat Viewer. Note that if you've already deleted your history, these data cache files may not have any information to give you. The same caveat applies to sifting through AppData files, where Firefox stores its cache. Before buying software to retrieve deleted history, review the developer's website to see if it is relevant to your situation, or contact the company to ask. Even if you haven't been able to find your browsing history, that doesn't mean someone else couldn't. Professional data recovery specialists may be able to retrieve your lost history, provided you're willing to pay them to sift through your hard drive. Additionally, even if your browsing history is removed from your computer, your history may be logged on the Web servers you visited. Internet service providers and law enforcement also have the ability to record your Internet browsing history.